For those of you who have followed me for a longtime, you know skincare is something I’m pretty passionate about. It is no secret to JGB readers that I have struggled with my skin in the past and have always been on the hunt for products that will improve my skin. When I was a teenager, I had perfectly normal skin, nothing out of the ordinary. It wasn’t until I got to college that my skin went wild, which lead me to try accutane my junior year. I know accutane is a bit controversial in the grand scheme but I will tell you that I had absolutely zero ‘negative’ side effects (other than the very expected dryness and redness). Throughout my accutane experience, I would even tell people I wished I could take that pill everyday for the rest of my life…and I still kind of wish I could! Post-accutane my skin was great for about 3-4 years, then it started to go haywire again. I discovered Dennis Gross products and actually shared my success with his products on this blog. One thing I want to make very clear is that I only post things on here that I love. Since sharing my new love for Drunk Elephant (more on that in a minute), many of you have reached out expressing that you can’t believe I’d leave Dr. Gross after I preached about him for so many years. When I said I loved Dr. Gross, I really meant it! His products were the only thing that was putting my skin at bay- I didn’t have crazy reactions to anything and it stayed rather mild with the use of his products. But, it is as simple as that, they were keeping my skin at bay, not healing my skin. Underneath make up, my skin was still rather unhappy. Lots of redness and black heads- I wouldn’t be caught DEAD without some foundation or concealer. Even at the lake, in the summer, on the beach (anywhere) I’d have foundation on the second I woke up until the second I went to sleep. I was embarrassed by my skin. Fast forward to this year when I was introduced to Drunk Elephant. I started with the C Firma Day Serum because that was a product I recognized in my then current routine (was using Dennis Gross Vitamin C Serum). I started to see a big difference in the way my skin was behaving in just a few weeks with the addition of Drunk Elephant’s product. After that, I started to slowly transition out of DG and into Drunk Elephant. 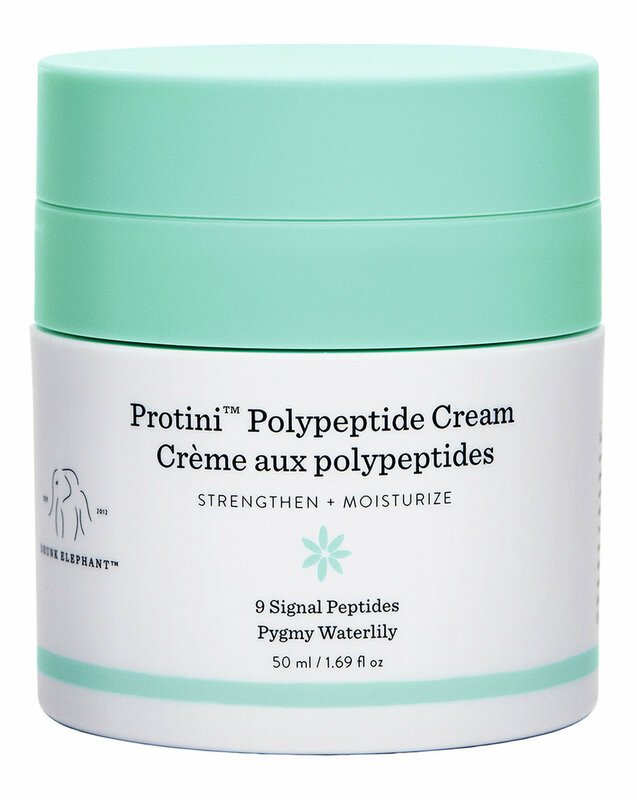 I believe my next product was the La La Whipped cream (pm moisturizer) and then I got into the baby facial- which let me tell you- my looorrrdd it is the best thing on earth. Each DE product I added to my routine, I noticed that my skin was eating it up. I am going to share my complete routine with you, and how to grow your Drunk Elephant arsenal, but I want to first share with you my ‘glow up’ as Drunk Elephant calls it. I truly cannot believe I am going to share these photos on the inter webs knowing that anyone will have access to them, it is pretty intimidating. But, I also know that there are SO many of you out there who struggle with skin like I do and there is truly nothing worse because there is no hiding it. I feel like my bad skin was controlling me to the point where I didn’t want to attend events because I was so embarrassed. Your skin is something everyone sees because helloooo, it is on your face! I felt like I looked unhealthy and was ashamed. I also feel it is important for me to show this transition because I want to emphasize that it is not an overnight fix. This process started with one product (C-Firma) and I slowly added new products to see what was working. These photos are over a four month period because I was slowly detoxing out other product and realizing what formula of Drunk Elephant worked best for my skin. Depending on my mood, I will mix all three face products together to create what Drunk Elephant calls a ‘smoothie’ and apply all over my face, or I will layer them in the order I listed them above. Right now I am loving mixing them together as a smoothie. The half pump of two eye creams is also pretty new to my routine. I felt my eyes needed a bit more moisture in the winter so I added the Shaba Eye Serum and really love it. In the summer though, I will probably just stick to the C-Tango. I chatted a bit about this above, but the C-Firma is definitely what made me transition into Drunk Elephant to start. The most recent product I have added to my routine was the B-Hydra Hydration and I feel like it was the icing on the cake. I feel like it is a ‘silent killer.’ When I added it to my routine, I noticed a huge enhancement of hydration and evenness. Remove makeup with ‘Bye Bye Makeup’ - I mostly use this to take of mascara. The secret is to apply to a dry face, wipe all over eyes and you automatically feel the mascara coming off. Rinse, and it comes right off. This is something that I REALLY notice when I don’t use. Without it, there is a lot of mascara residue under my eyes. Glycolic (the product I noticed the most change with when I began to use it and probably one of my favorite products in the line). This is the product that made me realize Drunk Elephant was nourishment for my skin and I was reacting well to it. After I started using this, I literally purged all of my Dennis Gross product and gave them to my mom (who loves his stuff still- hey it’s not bad if its working for you). The Lala Whipped Cream is an amazing moisturizer filled with tons of nutrients. This winter, I have been adding 2 drops of Marula Oil 2-3 nights a week, just to get some extra hydration. I tend to not use Marula every single night because I don’t want to over hydrate and cause a break out. 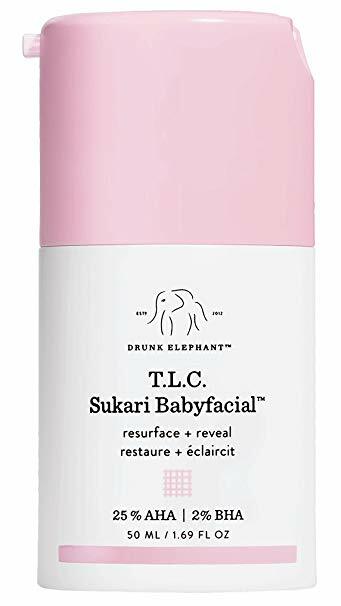 I feel like the Baby Facial is the product that put Drunk Elephant on the map. Those bloggers who have perfect skin and don’t need to fully revamp their skincare are still 100% investing in the Baby Facial because it is the most amazing product out there. Let me preface that Baby Facial is potent. You do not want to use if it if you have been exposed to sun or your skin is feeling sensitive. Be smart about when you’re using it (pm) and always give your skin some hydration afterwards (Marula Oil- most Baby Facials come with a mini Marula in them!) But this is a great product to reset your skin. I use it about 1-2 times a week, almost always on a Sunday when I feel that I was a bit indulgent over the weekend and my skin needs a reset from too much sugar etc. Okay so I know I just plastered you with a lot of information and it can seem overwhelming, so where do you start with your Drunk Elephant journey? You could go one of two ways- You could purchase ‘the littles’ kit and get a mini dose of the whole package (and I know you will see results) or you could start by adding serums to your current am and pm moisturizers. I highly suggest starting with the C Firma & Hydra Serums in the morning and the Glycolic in the evening. You can also get mini versions of these products to see how you like them before investing in full sized products. I also think that Baby Facial is a requirement for all women to have in their arsenal. It completely changes the texture of your skin and gives you the reboot that you need when reaching for a mask, it also lasts a VERY long time. I use mine 1-2 times a week and it lasted me almost 8 months. Aside from all of that, there are a few other products that you could definitely get into from Drunk Elephant. I personally love their tinted SPF and wear it everyday under my make up to protect from the sun. They also have a non tinted SPF that they recommend blending with their Sunshine Drops to create a tinted moisturizer on days when you want to be makeup free, but need a little oomph. Additionally, they just came out with A-passioni- which is an anti aging retinol- I have yet to try it but I have heard amazing things about it and cannot wait to try it. Drunk Elephant’s philosophy is one that is really easy to get behind once you see results. They talk about their products and how they are free of the ‘suspicious six’ ingredients that are in most cosmetics and cause breakouts. 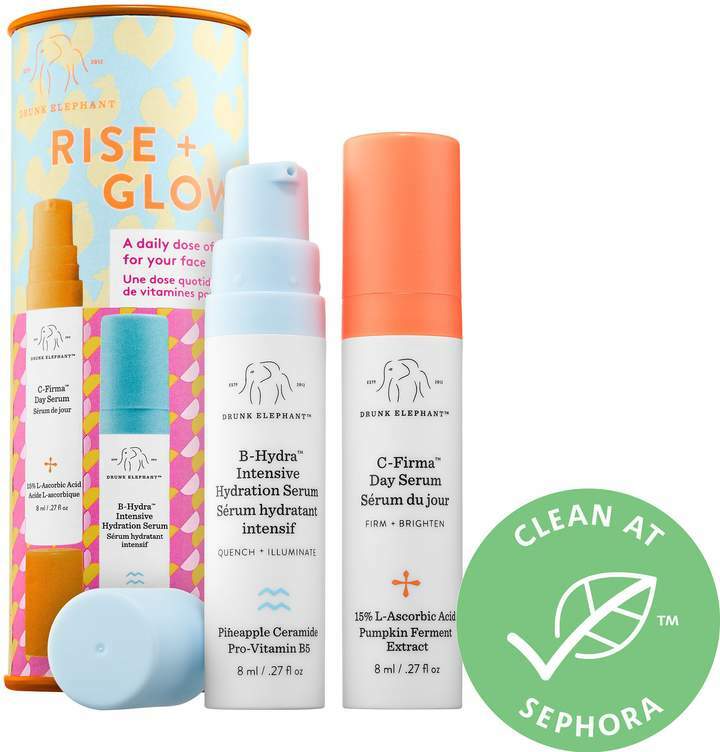 Their product is designed in a way that its nearly impossible to break out, I listened to an interview with their founder Tiffany Masterson and she simply stated that if you are using Drunk Elephant and breaking out, you need to really asses the other things you’re putting on your face because those products are probably making you break out. I know that this can seem like an investment and somewhat overwhelming but here is how I look at it- you only get one skin and your skin is an organ that you need to take care of. Investing in the products you put on your face is a lot like investing in the food you eat everyday, you are providing your skin with the nourishment it needs.